Patented Three Dimensional (3D) Footprint Analysis - exclusive information about your feet! 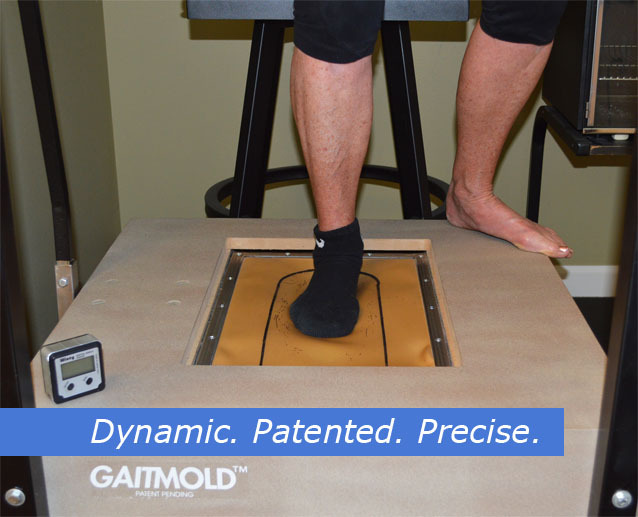 Our GAITMOLD™ device records your 3D footprints during a step, with no artificial influence. This provides extremely accurate information about your personal feet for analysis. Footform® Orthotic Footbeds are more comfortable and provide better guidance of foot pressures than other orthotics. This is due to their natural, real, contours that exactly match your feet. They have no subjective or artificial, contours, lumps or ridges. On Footform® Orthotics, every weight shift provides a feeling of connection with the ground, massaging and stimulating your feet, like natural earth, right in your shoes! Footform® orthotic footbeds are made of a flexible, shock-absorbing, solid material called visco-elastic polymer. It behaves like the natural pads of your feet except slightly firmer so that it feels solid and stable. Footform® orthotic footbeds have a replaceable topcover of Poron™, which is recognized as the best cushioning material available. Footform Labs brand of visco-elastic polymer is VISCORK™. Visco based materials have tested to be superior to all other orthotic materials yet they are rare because the first-generation fabrication methods were difficult and unconventional. 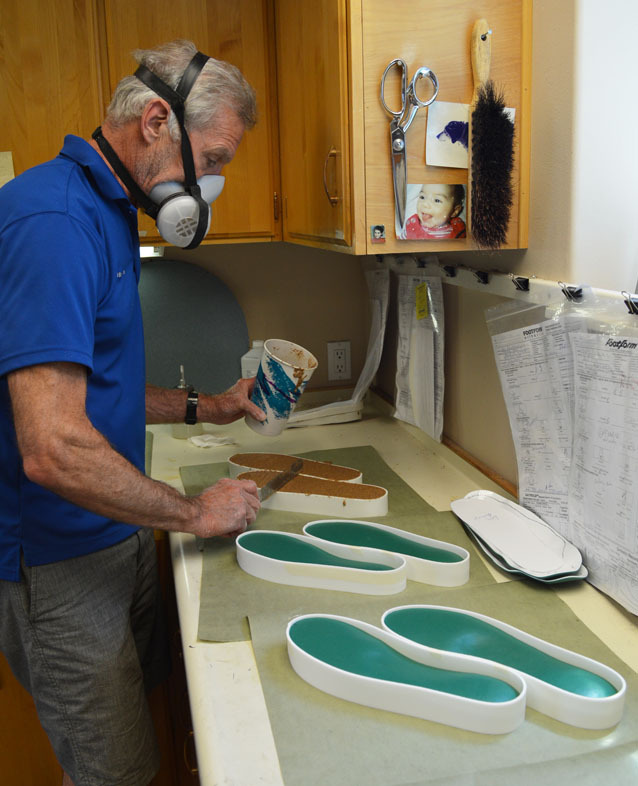 We developed a visco fabrication method with Footform® Mold Shells that is extremely simple. Also, it is the only known method to thermo-form Poron®. There is only one known competitor to our material, which is PQ™. Our VISCORK™ material has many advantages: easy grinding, low odor, no hazard rating, lightweight, simple 50-50-100 mix ratio, and less expensive. See our patent section to order materials or to license GAITMOLD™.